Chat logs and other digital records entered into evidence in a federal court case Monday detailed how the operators of the infamous Silk Road underground online marketplace planned to have individuals murdered for potentially disclosing the identities of those who used the anonymous site. Over the course of March and April 2013, an individual operating under the Silk Road administrator account Dread Pirate Roberts had paid an individual, or group of individuals, approximately $650,000 worth of bitcoins to carry out as many as five murders, digital records indicated. Whether any of these murders were actually carried out remains a mystery. Police have never been able to find any bodies that matched the details of the supposed murders, nor have they found any records of the supposed real names of the people the contract killers claimed to have killed. The defendant in the case, Ross Ulbricht, does not face murder conspiracy charges in the current case in New York. The prosecution’s case seeks to prove that Ulbricht operated Silk Road using the Dread Pirate Roberts account. Ulbricht is charged with narcotics conspiracy, engaging in a continuing criminal enterprise, conspiracy to commit computer hacking and money laundering. The narcotics and criminal enterprise charges carry maximum penalties of life in prison. Ulbricht has pleaded not guilty to all charges. Ulbricht’s defense lawyer, Joshua Dratel, argues that Ulbricht handed off the site to other operators shortly after he started it in 2011, and that he rejoined immediately prior to his arrest, lured back in by the new operators to serve as a fall guy. As their last witness, federal prosecutors brought to the stand Federal Bureau of Investigation contractor Brian Shaw, who analyzed the Silk Road servers seized by the government and the laptop computer Ulbricht was using was he was arrested. Through chat logs and diary entries found on Ulbricht’s computer, prosecutors detailed how someone, under the name of Dread Pirate Roberts, had commissioned two sets of hits, or murders-for-hire, from someone claiming to be from the Hell’s Angels motorcycle club. The first hit was taken out on an individual with the Silk Road user name FriendlyChemist. FriendlyChemist had approached Dread Pirate Roberts online in March 2013 demanding $500,000 within 72 hours, or else he would reveal the real identities of 5,000 Silk Road users. As a sort of eBay for illegal goods, Silk Road matched buyers and sellers and ensured that their identities would remain hidden, so such a breach would be devastating to the site. FriendlyChemist claimed he needed the money to pay off the Hell’s Angels, from whom, he said, he and a partner had purchased $750,000 worth of acid, a synthesized hallucinogen, to sell on Silk Road. FriendlyChemist’s partner, reallucydrop, had taken off with the drugs without paying the Hell’s Angels the full amount, and now the Angels were holding FriendlyChemist responsible. FriendlyChemist explained to Dread Pirate Roberts that extorting funds from Silk Road was how he would repay the drug dealers. At the time, Dread Pirate Roberts was in touch with someone claiming to speak for Hell’s Angels, with the screen name redandwhite. 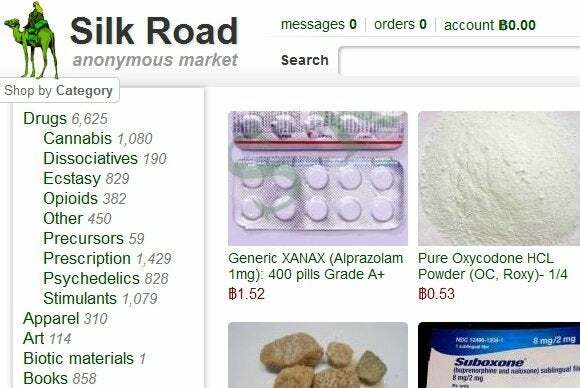 Dread Pirate Roberts was hoping that the site could work more directly with large drug distributors, rather than the street dealers that made up the primary pool of vendors that used Silk Road. The Hell’s Angels could be a conduit to such business. Dread Pirate Roberts told redandwhite about the extortion attempt and asked if the Hell’s Angels could put out a hit on FriendlyChemist. Redandwhite said they could do the job for $150,000, or $300,000 for a murder that looked like an accident. He did note that the Hell’s Angels had already found reallucydrop and resolved that matter to their satisfaction. Redandwhite also provided what he claimed was the identity of FriendlyChemist, 34-year-old British Columbia resident Blake Krokoff. In chats, Dread Pirate Roberts revealed to FriendlyChemist that he spoke with the Hell’s Angels and that they were not interested in FriendlyChemist; nonetheless FriendlyChemist did not back down on his demands. After some price haggling, Dread Pirate Roberts told redandwhite to do the job, and on March 31, redandwhite let Dread Pirate Roberts know by chat that his problem with FriendlyChemist “had been taken care of.” Redandwhite indicated in a chat that he sent a photo of the deceased FriendlyChemist, though the photo had been deleted from the computer shortly after it was received, prosecutors said. A personal journal kept on the laptop indicated that on the following day, the author of the journal “had gotten word that the blackmailer had been taken care of.” Prosecutors also showed on a spreadsheet found on the laptop that Silk Road paid out approximately $167,000 worth of bitcoins to an account associated with redandwhite. The offing of FriendlyChemist, fictional or otherwise, would not be the end of Dread Pirate Roberts’ problems, though. Redandwhite said that his commissioned thugs questioned FriendlyChemist before slaying him, and that FriendlyChemist revealed that the blackmail attempt was part of a larger ongoing operation to defraud Silk Road and its users. FriendlyChemist was in cahoots with another British Columbia Silk Road vendor who went by multiple names: Tony76, among others. The alleged Hell’s Angel member explained, that, for a fee, Tony76 would teach other sellers to defraud Silk Road users by selling a small amount of goods to build up trust and then not delivering on subsequent larger orders. Because Tony76 helped FriendlyChemist in the blackmail attempt, it would probably be a good idea to knock him off as well, redandwhite advised. More problematic was that Tony76, who redandwhite identified as an “Andrew Lawsry” of Surrey, British Columbia, was working with three other individuals on their operations to defraud Silk Road, all in the same workspace. Redandwhite recommended that his professional killers could take care of all four individuals for $500,000, a figure that Dread Pirate Roberts agreed to. On April 18, redandwhite, through chat, wrote that “my crew did their job,” and that they recovered a thumb drive with a file called “blackmail.txt,” containing the names and addresses of thousands of individuals. In addition to the details surrounding the putative murders-for-hire, Shaw also offered a detailed breakdown of how much money Silk Road made, based on a database of all transactions found on the Web servers the FBI seized. The database covers the entire time span of Silk Road operations, from February 2011 until Oct. 2, 2013. Tallying the database figures, Shaw said that Silk Road conducted approximately 1.5 million transactions, involving 9.81 million bitcoins worth over $213 million at the time they exchanged hands. Silk Road made 642,000 Bitcoins in commissions, worth approximately $13 million, off these transactions. As the prosecutors bring their case to a close, Ulbricht’s defense team, led by Dratel, is having trouble bringing its own witnesses to the stand. U.S. District Judge Katherine Forrest, who is overseeing the case, barred one expert witness, named Antonopoulos, from testifying on how bitcoin operated, because the court “cannot properly assess his qualifications.” The defense has also not indicated whether Ulbricht will take the stand, but it must do so Monday, Forrest told Dratel.